POLL: Should Tech N9ne Bring Back Nnutthowze? Tech N9ne stunned fans last year when he released “What’s Yo Psycho” with Brotha Lynch Hung and Sundae, as part of a Nnutthowze reincarnation. The killer track brought back a vintage feel to Tech’s music, and fans began to wonder if this was the start of something new. Almost a year later, nothing has come to fruition. The Nnutthowze name sparks a lot of emotions with Tech fans everywhere. The question is, should he bring it back? We would like to know how you feel about a new Nnutthowze project. 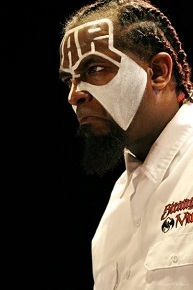 Vote below if you would like to see Tech N9ne bring back the Nnutthowze. Should Tech N9ne Bring Back Nnutthowze?